Whether you want to start from scratch and build a blog with the sole purpose of making a small business out of it, or you already have an established blog that you want to make money from, there are plenty of business opportunities for bloggers. You can start off just being a blogger, but the moment you start making money from it, you become an entrepreneur – a small business owner. A blogging business can be a great way to turn your hobby or passion into a money making business. Blogging, a form of creating content and publishing it, allows you to have complete freedom with the content you create. You can write about anything, from lengthy essays on the solar system to showing people how to bake brownies, and that is the beauty of it. As long as you get people interested in what you are saying and can build traffic over time, you will be able to start making money from it. Blogs are used as everything from a marketing tool for businesses, to creative outlets where people can share their art. Advertising – when you have grown traffic on your blog, you will be in a position where advertisers will want to buy ad space on your site. Advertising is one of the most common ways for bloggers to make money, and even if advertisers aren’t knocking on your door yet, you can make money from ads using ad networks like Google AdSense. Services – if you are a freelancer or can offer another service, and blogging isn’t your primary business, you can use your blog to promote your other services. For example you may be able to offer your readers services such as copywriting or training in your respective fields. Affiliate marketing – This is another really popular method of making money through your blog. Affiliate marketing involves placing links on your blog to products on third party websites, and if any of your readers click the link and make a purchase from their sites, you will get a percentage of the sale as commission. Websites like CJ affiliates can connect you to affiliate programmes. Events – you can also opt to have events. These can be online events or actual physical events. Online events include webinars, live shows and workshops. If you are a makeup blogger, you could do a live show where you teach your makeup techniques and can charge to give access to your audience. Or if you are a lifestyle blogger and people want to meet you, you could have a meetup and charge a fee for tickets. Products – This is another great way to branch out from your blogging business and make money. Poets release books and influencers release clothing merchandise. Find out what your audience would buy, and make a product that appeals to them and they would want to buy. Flexibility – This is one of the biggest advantages of having a blogging business, as it’s likely you will be setting your own hours. Being able to work when you want rather than a 9 to 5 can help you have a better work-life balance. A blogging business, when you are first starting out is ideal for individuals who work part-time or parents who only have limited time to invest. Work from home – Working from the comfort of your own house means you can avoid busy, crowded commutes, as well as save money on travel expenses. You can also enjoy all of the other perks of working from home such as working to your own schedule, taking breaks whenever you need to and not having any distractions from colleagues or employees. The time is now – There has never been a better time to start blogging and turn it into a business. Blogging is current and is becoming increasingly popular – so get started today! Make money form something you love – You can turn your passion into a business. If you are writing a blog anyway, why not make some money from it? Easy set up – Setting up a blog is relatively easy and inexpensive. Opportunities – The more you build your blog and its traffic, the more opportunities will be available to you. Time-consuming – You have to put in lot of time on a regular basis in order to grow your blog and your business. You need to nurture it and build the traffic over time by uploading posts regularly. You also need to make sure that your content is of quality, ensuring that it is relevant and in line with the rest of your blog content. Slow process – It can, and likely will, take you a long time to build a solid amount of traffic. You will need to put in time without getting a return for potentially a long time before you start seeing good statistics for your blog. Overcrowded – Blogging has become a huge worldwide phenomenon and that’s why it’s great to get involved. However, it may feel like it’s overcrowded and your voice is just one among millions of others. Therefore, you need to get people to listen to you – whether this is by showing them something unique or teaching them a new skill. Self-motivated – You will need to be self-motivated and have a passion, which will drive you to stick with your dream. You will need something to keep you motivated over the long haul journey of business blogging. Failure and success – You may need to fail at blogging before you succeed. Starting a blogging business is just the same as starting any other business – you might fail in certain areas but it will be a learning curve, making you better and wiser over time. There aren’t any specific requirements needed to start a blogging business; in other words you don’t need an official qualification or training to start a blog. However, to succeed and be good at what you do you will need certain skills. For example, if you run a baking blog you need to be a skilled baker and writer to share your talents with your audience. Alternatively, if you are giving medical advice on a blog then you will need to have had medical training to give credibility to what you are saying. You will need to be multi-skilled to give your blog a good chance at success. 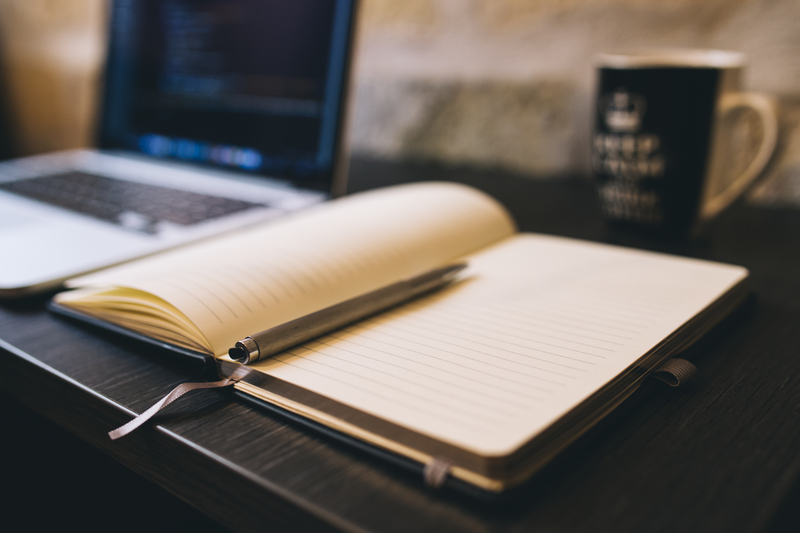 As well as being a pro on your given topic, you will also need to be a good writer, as this is what will allow you to connect with your audience. And depending on the topic of your blog, you may also need to be skilled in photography, as having good quality pictures will make your blog more attractive. For example if you tell stories of your travels through photography, you will need to have good quality photos for your blog. Having an entrepreneurial flare and/or business skills will be beneficial, however not essential. Although setting out with business skills will give you an advantage, you will learn and pick up these skills as you continue on your business venture. You will also need a basic knowledge of how to use the website that will host your blog, for example WordPress, which is great for starters. There are many other skills that can be beneficial to you, for example having a knowledge of web design or SEO, however you can also outsource these tasks if you need to. Even if all the other skills you have are mediocre, you need to be exceptionally good at whatever your blog is about. Whether you are giving fashion advice, or writing satire article on daily events, you need to stand out from the crowd and be an expert on your blog topic. One of the biggest perks of starting a business blog is that it is usually quite inexpensive to set up compared to other business start-up costs. The costs will vary depending on what you want and how much investment you want to make. For example if you want your website to be truly unique, you may need to seek help from a web designer to design your blog/website and your brand assets such as your logo. This will make you website look professional, which is essential if you want to start making money from it. You will need to shop around to get the best price for what you want, however it can cost anything up to around £15,000 for a small and basic professional website, and can increase to ten times that for larger websites. You will need to buy your website domain because it will make your site appear professional, and you will need to have a professional website in order to attract clients and visitors to your page. This is relatively cheap, for example on WordPress you can pay a fee of £90 for the year for a premium package, which includes buying the domain. You will also need to consider the costs of your web hosting, which again can be relatively cheap when your site is just starting out, however as it grows you may need to go for a more expensive package. You will also need equipment. This will vary widely depending on the content that you create, however a good reliable laptop/computer, internet connection and a good camera are the basic requirements. The costs of these will vary, however you can expect to pay roughly £1,000 for a good camera and a reliable computer. When your blogging business takes off and your website is becoming too big for you to handle by yourself, you may want to hire staff. Although this will likely be further down the line, it is something to consider. One of the major benefits of having a blogging business is that you can work anywhere. You can work from the comfort of your own home, in a home office, or sit in your favourite café that has an internet connection. As a blogger you have the flexibility to vary your location as you please, and if for example you are a travel blogger, your location will change all the time! Once your business has grown and you need to hire staff, it may also be worth considering getting an office space. There are a variety of things that you need to start your business. Firstly you will need drive, self-motivation and a skillset to make you stand out. You will need your equipment, from laptops and cameras to headsets and notepads. As well as other basic equipment in order for you to physically create content. You may also want to create a blogging business plan, as it will help you decide how and where you want to take your business. Business plans are essential part of any business, therefore having one for your blogging business is also a good idea. Social Media – Social media is the most prevalent way to get people to visits your blog. Having various social media channels that are active and correlate with your blog will mean a bigger reach for your blog. You can share snippets of your blog posts on your social channels and direct your followers to your blog. Similarly, with growing your blog you must ensure that you are regularly updating your social media. The more often you post good quality content, the more your social channels will grow, which will result in the growth of your business. Guest posts – Network and build relationships with other bloggers and people in the industry. This way you can contribute to other blogs and feature as a guest on them – This will help you get exposure as well as, links to your own website/blog. Promote your blog – Tell your friends and family and encourage them to promote your blog as well. There are many successful blogs and websites which are making millions on an annual basis. One of the most successful blogging businesses is the Huffington Post as on a monthly basis it generates over £1.5 billion – this is an incredible amount and shows the growth and success of the business model. Another successful blog/blogger is Lilly Pebbles. Lilly started writing lifestyle-based content and has now become a well-known UK youtuber and blogger, and is seen as an influencer. The Huffington Post has remained separate from its owner, whereas Lilly Pebbles’ blog has actually become her brand. More on small business ideas and start up ideas here.